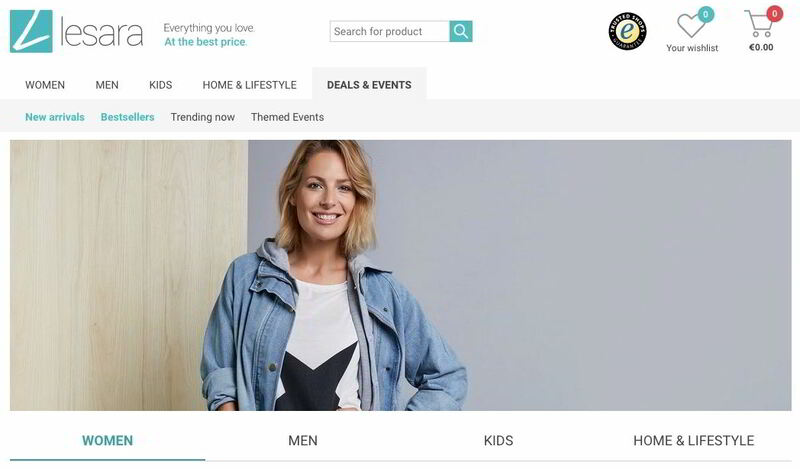 “What Fast Fashion companies such as Zara and H&M have successfully done offline, we are now taking online to the next level,” says Roman Kirsch, the founder and CEO of Lesara.com, one of the fastest growing online shopping platforms in Europe. In this interview, you will learn how he built this empire, what makes it so disruptive – and why he thinks it’s so important to never compromise on hiring the right people. Paulina, EC: “Trendy fashion and exclusive products don’t need to be expensive, ” – that’s the motto and the founding idea of Lesara. How do you make this reality? Where’s the catch that you’ve managed to bypass? 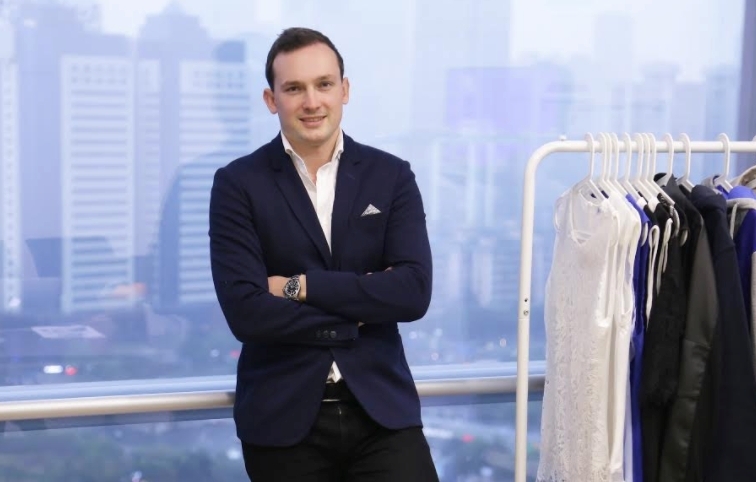 Roman Kirsch: We are a company that has a clear vision on how to disrupt one of the biggest and most profitable industries in the world, the one of fast fashion and mass-market apparel. During my travels as CEO of Fab Europe I saw the huge potential of the Asian market, so with the vision of revolutionizing the world of retail and online trading and making it more efficient, we started Lesara. Traditional supply chains with numerous middlemen prove to be time consuming, non-transparent and expensive. These are factors that Lesara bypasses through direct sourcing and cooperation with local producers, and unmitigated control of the supply chain. We managed to directly link suppliers and end consumers, which offers a clear benefit in every aspect to its end users: fast delivery times, high quality standards, best price guarantee and a consistent instant response to trends and the customer’s desires. Through vertical integration, we have successfully established Lesara in the e-commerce area as a pioneer in Agile Retail. Lesara began as a startup. Did you take part in any venture capital or acceleration program? Or perhaps you have done everything on your own? I started my entrepreneurial career with a souvenir shop when I was 15 and have been passionate about launching and developing businesses ever since. In 2011, I founded Casacanda, an ecommerce company for European design. It was acquired by Fab.com in the following year and I spent a year as the CEO of Fab Europe. I founded Lesara in 2013 – together with Matthias Wilrich (COO) and Robin Müller (CTO). We have had four funding rounds at this point, where we raised $40M in funds during the last round led by various investors from the UK and the US. This last financing round has brought the total funds raised to $60M, and has allowed us to expand to new markets this year, such as Spain, Sweden and Denmark. On your website, you mention that Lesara’s team grew from 5 to 300 employees. That’s an impressive growth – and an equally impressive number of employees! What were the milestones of your growth? A milestone was when we were awarded ‘Europe’s fastest growing Tech Startup’ last year. As our teams and employees are a key factor to keep growing as fast as we do, this award was really due to all the hard work everyone put into it and was both a reward and a motivation for the whole team. If you were to summarise the growth of the team behind an online shopping platform like Lesara, in which areas of operation does the company grow the fastest? In other words, what are your most sought for specialists? Are these sales people – or perhaps customer service specialists? Right now, we invest a lot in our Tech team, but as we are growing very fast and are constantly opening up new markets, we are still hiring for all our teams. It’s always a challenge hiring the right talent that are motivated, smart and ambitious enough to take on the major players in the industry. No matter which team we are hiring for, we are looking for the right attitude and for the right team and cultural fit. We believe, when seeking new talent, it’s worth taking some time rather than compromising. Our recruiting process is known to be tough and diligent: Only 1% of all applicants get hired – a rate that is more selective than Harvard. What are your main competitors – and what is your current market position? What makes you different from your competitors from the point of view of your customers? What Fast Fashion companies such as Zara and H&M have successfully done offline, we are now taking online to the next level: Agile retail is the fast moving, future kind of shopping and the next inevitable and promising step to a new level of international online retail, which combines the benefits of online and offline e-commerce and offers customers a unique way of a quicker, faster and better shopping experience. Agile Retail is about understanding through data what trends are popular with consumers at this very moment and being able to react on it instantly with a seamless integrated supply chain. For our customers this means: We have in stock, what they are looking to buy! We guarantee the best price for a great variety of new, trending and high quality products launched on our website each day. Our delivery is fast and safe, and we offer the most secure payment methods. Our customer service is first-class, and we make sure you have an extraordinary and inspiring shopping experience! Lesara has its headquarters in Berlin, but it also has another office in Guangzhou, Southern China. What part of your sales comes from the Chinese ecommerce market? 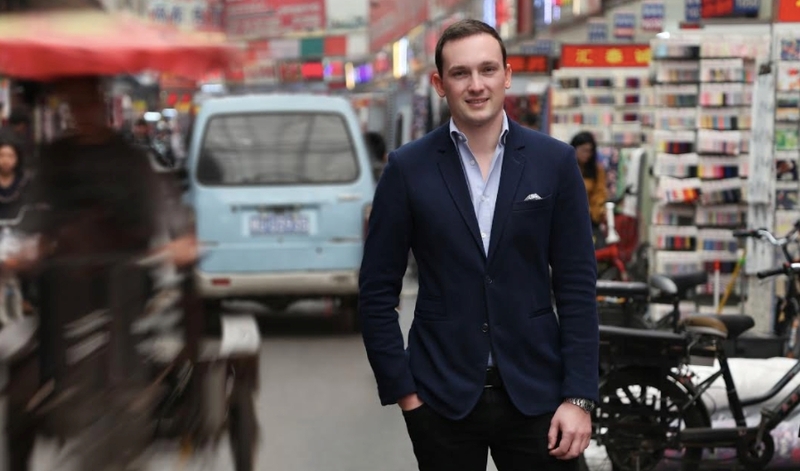 How important is your presence in China in relation to your presence on all the other markets? We don’t have Chinese market presence at this point, but we have a second office with a staff of 70 people, which is located in Guangzhou and which we opened up in 2015 to ensure a good overview of the entire supply chain. The sourcing and production of many of our products is done in China, as well as most of the product photography and the quality control. We are in control of everything beginning to end, and by cutting out the middlemen and establishing long-lasting, good relations with our suppliers, we are able to ensure a faster, better and more efficient delivery system as well as a great product quality. How diverse are your customers from different European countries? What helps you to notice, understand and react to these differences? We want to ensure a unique and localized shopping experience for all our customers, wherever throughout Europe. This starts with offering localized storefronts per country, and providing our customers with a tailored selection of products that fits their preference. Another factor is that we focus on working with local partners for more localized payment options and delivery methods. We have return warehouses in many of our key markets to ensure faster and better returns for our customers. Take Italy as an example: It’s currently our second biggest market, and it’s very different from our home market Germany. The experience with online shopping as well as the trust in E-commerce companies is much lower than in Germany or in Nordic countries for example, which is why we invested a lot in trust-building activities. We worked with local celebrities and partnered with Trusted shops, but we also invested a lot in a big and reliable customer care team to assist our Italian customers the best we can. In 2017, Lesara won the ‘Criteo’ award for the most innovative performance marketing campaign. Can you share more details about this? What were the origins of the idea for this campaign? Who were your rivals in the run-up to this prestigious award? There is constantly a lot of innovation and change happening and we always aim at staying ahead of the trend in performance marketing. We launch 2000 new products online each week, and in order to find new potential top sellers we needed to automate the detection process. For this reason specifically, we created the campaign that won us the Criteo award. The campaign we created is agile, and helps us to identify trends within trends. We used the new prospecting with dynamic ads feature to automatically test new products & old bestsellers for their marketing potential. These feed-based ads are shown to our high potential target groups and the best-performing products were used to create additional, conventional prospecting campaigns. Our competitors in the category for most innovative performance marketing campaign were Campanda and Telefonica. What are Lesara’s plans for 2018? What do you want to do to ensure Lesara’s equally impressive growth in the future? ​One of our goals is to continue our vision of creating a more fashionable world for everyone. We want to continue expanding across geographies and customer groups. As a company we also want to continue investing in technology, especially with respect to personalization of customer experiences: we want to be on top of innovation such as voice and augmented reality, and invest in our infrastructure in terms of logistics, sourcing and marketing. And, finally, a bit of privacy. You have impressive education background and work experience. This article from The Telegraph serves as a great summary of your so far achievements. If our readers wanted to try walking in your shoes to become an ultra-successful entrepreneur one day, what tips would you give them? What should they do – and what should they avoid doing? First, build your network before you need it – be proactive about getting in contact with other companies and entrepreneurs to share experiences and knowledge. Second, thinking big wins – at Lesara we believe in putting action first and working fast and efficient. Third, company culture wins long-term. The first hires are very important in getting the culture and trajectory of the company right, so don’t compromise when it comes to recruiting and invest a lot in your company culture. Write down the values of your company culture, make them visible and share them to make them a core belief among all staff. Roman Kirsch is the founder and CEO of Lesara, an online shop for affordable and trend focused products and a pioneer in Agile Retail. 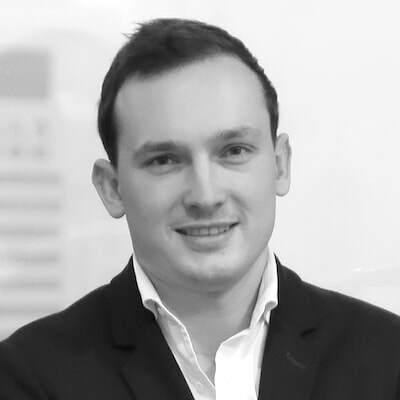 Roman founded the company in November 2013, together with CTO Robin Müller and COO Matthias Wilrich, with a vision to revolutionize the retail industry. Roman is also a member of the World Economic Forum in Davos and featured in Forbes Magazine’s prestigious “30 under 30” list in 2016. Next Post Next Post E-Commerce Forum Karlsruhe XXL with special speaker lineup!